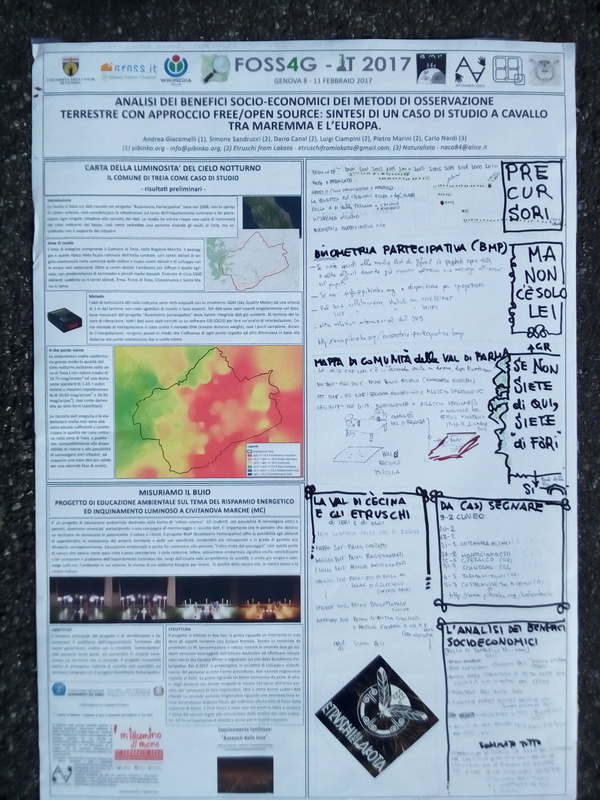 The title of the poster is: Analysis of socio-economic benefits of Earth Observation methods with a free/open source approach: the Summary of case from Southern Tuscany to Europe. The right side of the poster was edited “live” prior to the poster session, in about an hour. To see the full-size poster and read the details, click here. Also, you may want to check the presentation made by Etruschi from Lakota during the poster session. The poster is in Italian. If you don’t read Italian and require specific clarifications, please let me know.